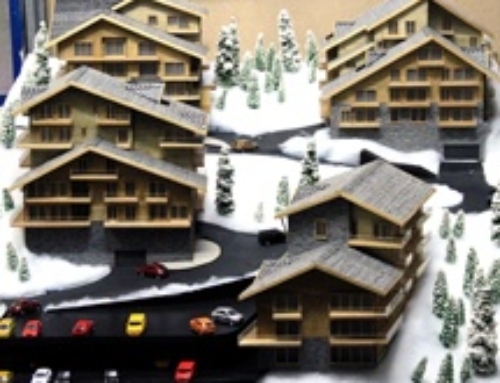 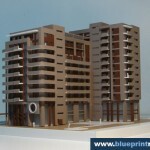 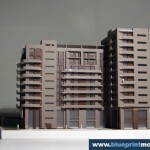 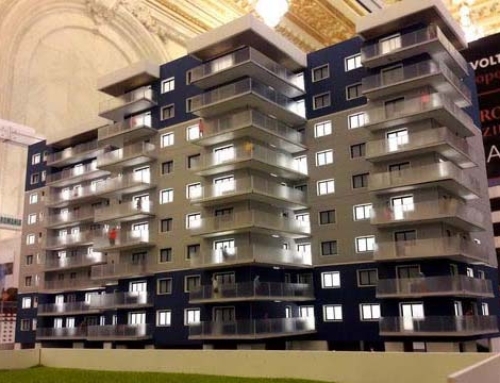 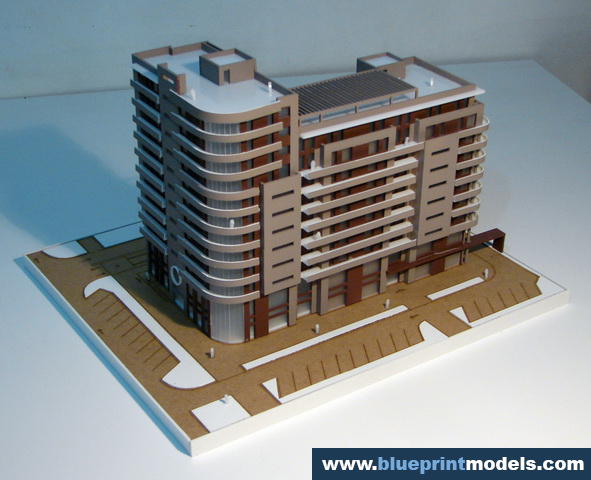 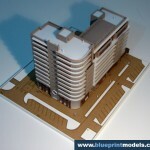 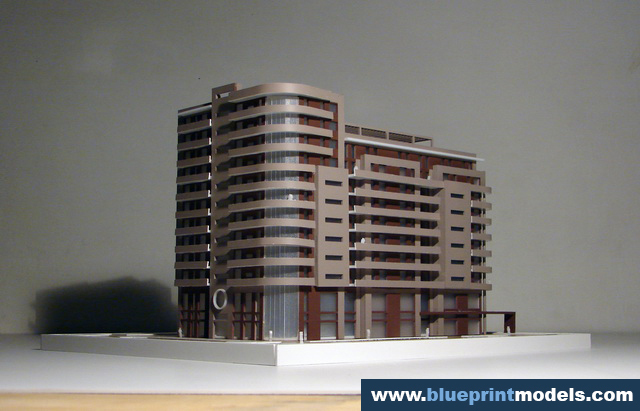 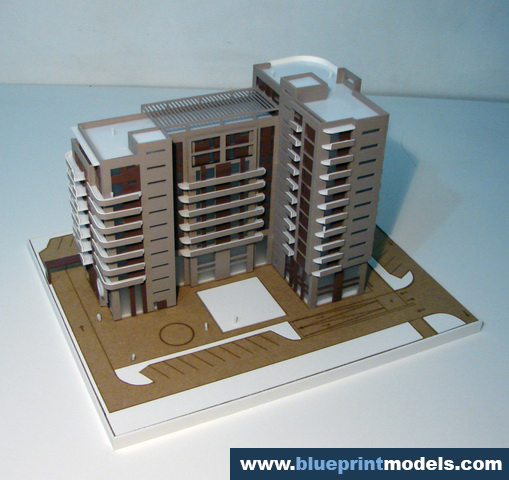 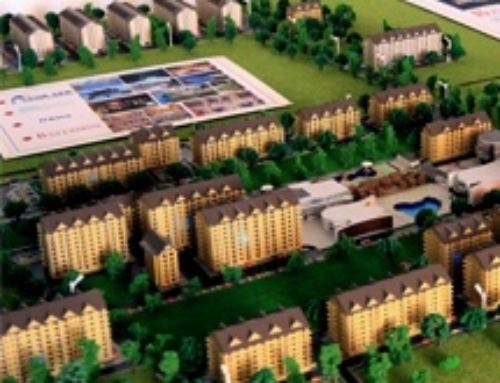 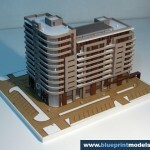 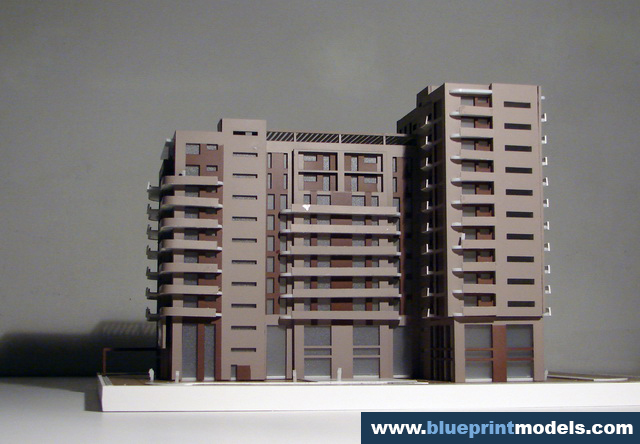 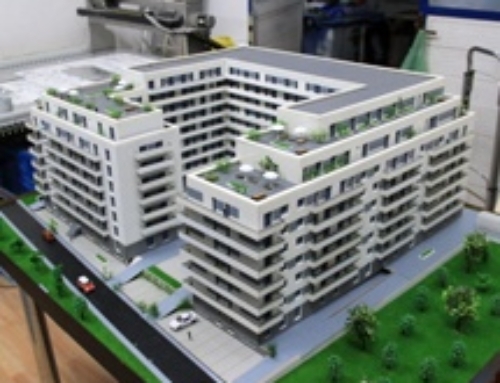 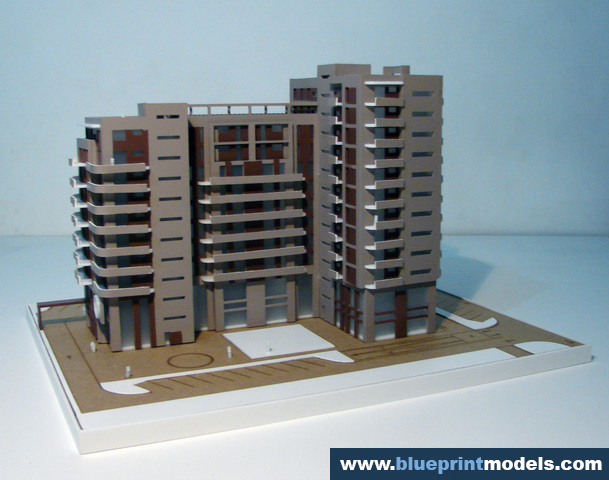 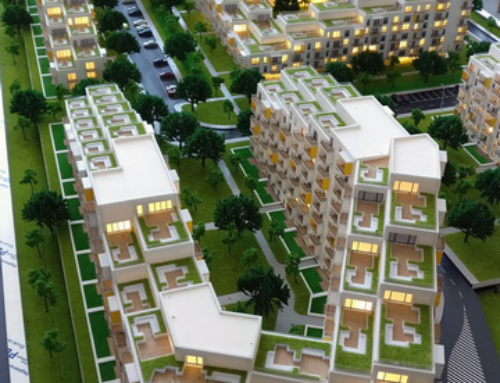 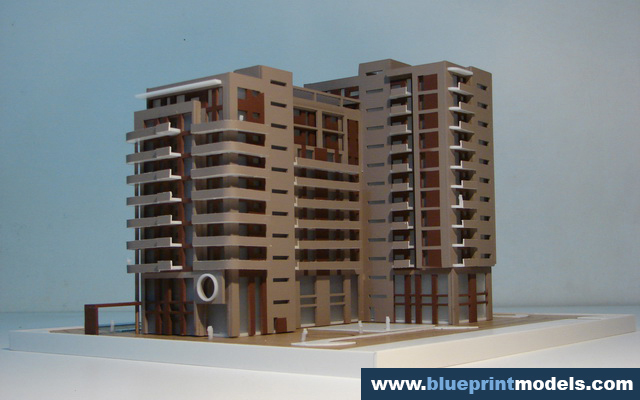 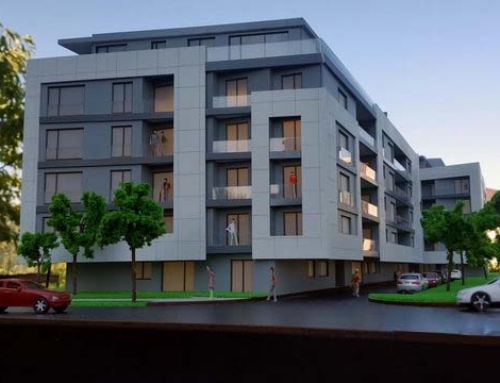 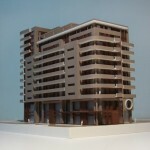 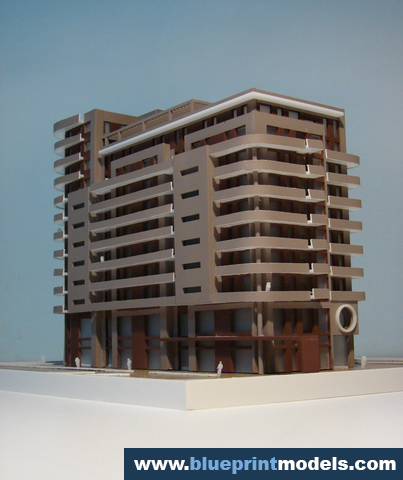 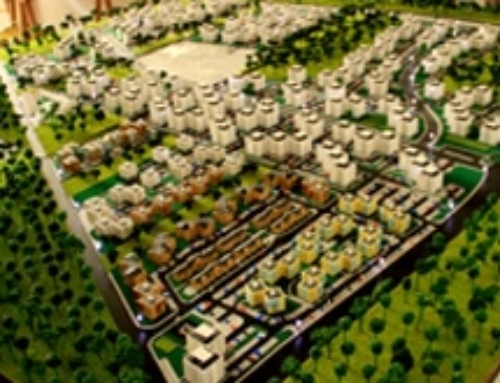 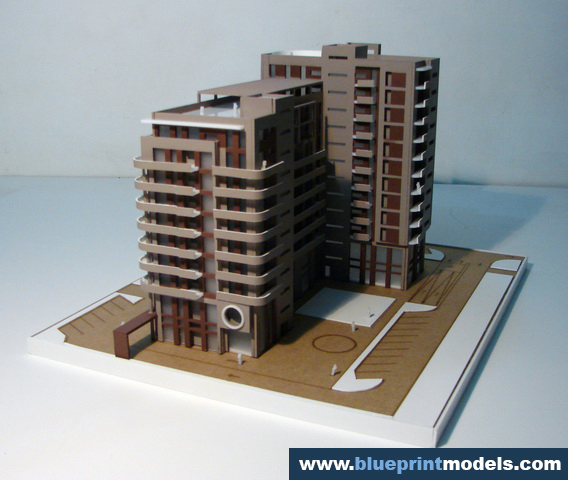 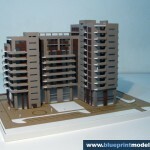 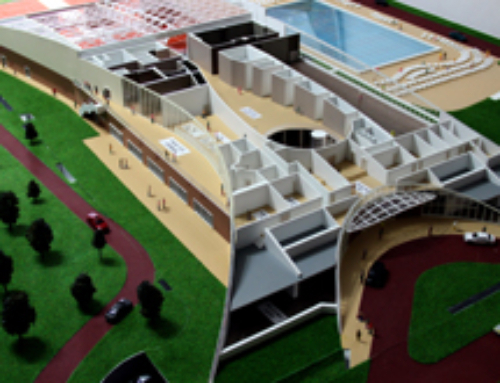 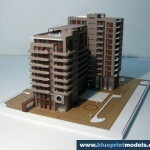 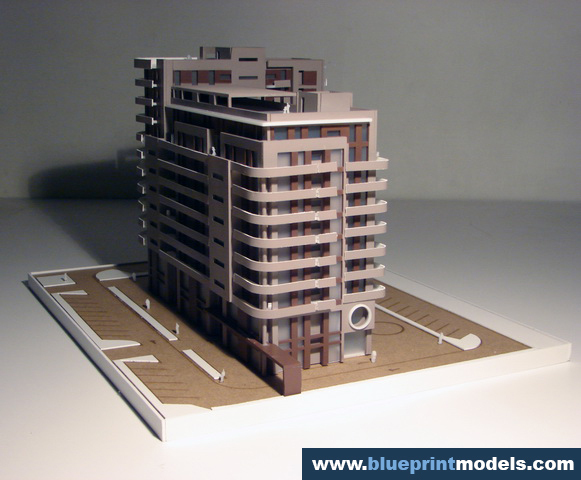 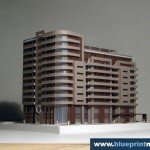 This is a 1:200 scale model of an apartment building in the Nerva Train area, Bucharest, which took approximately 10 days to complete. 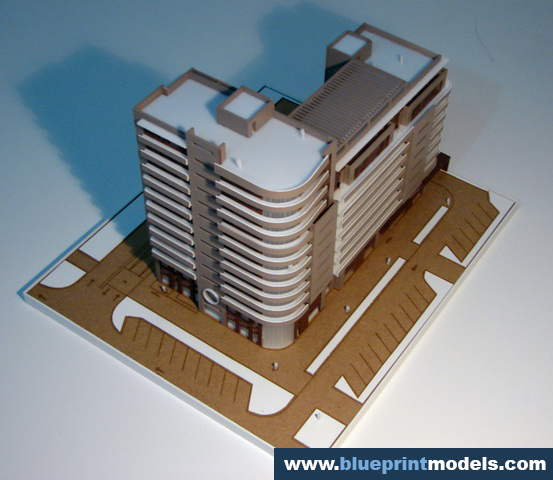 The pieces were designed electronically and subsequently laser cut; the main materials are Plexiglas and MDF, as the latter is particularly fitting for engraving. 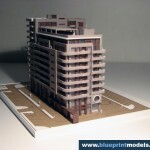 The colours were chosen according to the beneficiary’s instructions, and a translucent material was used for all windows, so as to restrict visibility towards the interior.